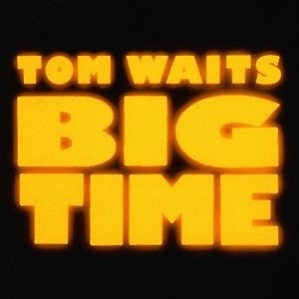 Big Time is a live album by Tom Waits recorded in November 1987 at venues in San Francisco and Los Angeles. Is this the best live album by Tom Waits? Best live albums by singer songwriters – I have two divisions with promotion and relegation because there are too many great live albums too ignore. This entry was posted in 1980s Live Albums, Singer Songwriter Live Albums and tagged 1980s Songwriters, 1987 live albums, SS W, Tom Waits Live Albums by Paul Simister. Bookmark the permalink.